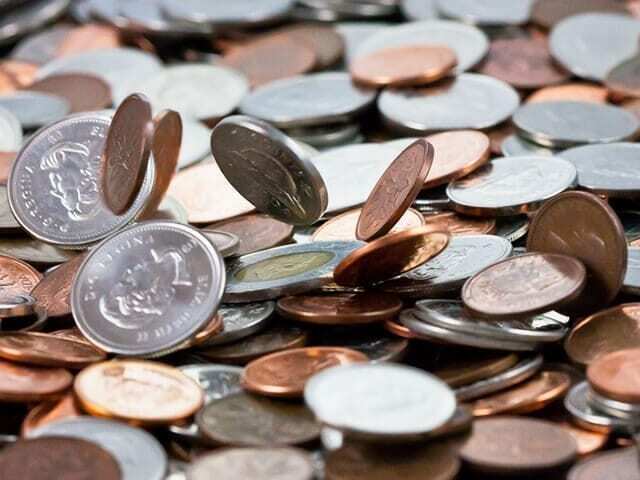 How is digital health funding doing in Canada? Digital health funding continues to skyrocket this year, with reports showing investment has risen to $3 billion, twice the full-year total of 2013. In the US, the average deal size was $13.1 million, about 31% higher than those made in 2013. How does digital health investment stack up in Canada? What’s driving the digital health revolution? An aging population, increasing healthcare costs and cheaper consumer health products are certainly factors. Wearable devices companies that target the consumer fitness market are abundant although only a few dominant the market (think Nike and FitBit). The next wave of digital health companies must address broader healthcare issues such as glucose monitoring to get long-term return on investment and give healthcare providers a way to engage with patients on a regular basis outside of clinical and hospital settings. For example, new research from Canada Health Infoway shows that healthcare providers such as pharmacists are frequently using digital health solutions as part of their treatment plan to complement patient care. Established companies have also descended onto the digital health space. Apple made a splash earlier this year with its Apple Watch wearable device and HealthKit. Samsung, Google and Facebook are among the others vying for consumer and industry attention. 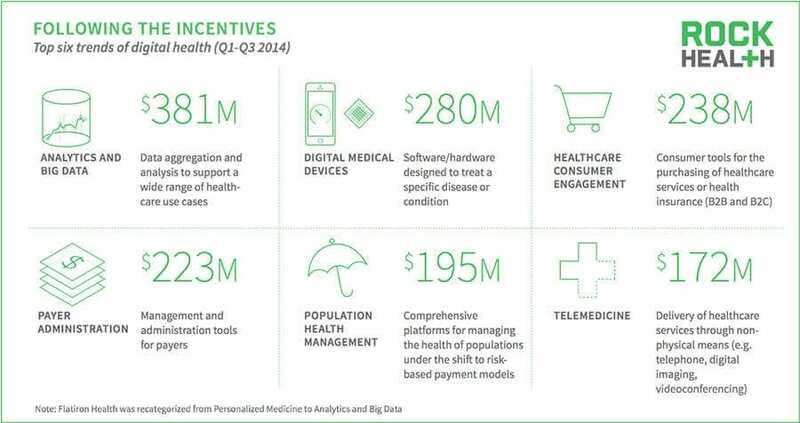 Which digital health trends are receiving funding? The top six trends targeted by investors include analytics and big data companies, followed by digital medical devices, consumer engagement, payer administration, population health management and telemedicine, according to San Francisco-based accelerator Rock Health. Digital therapies is one of the top growth trends—software or hardware designed to deliver a specific clinical outcome in a therapeutic area(s). What can get lost in all these numbers is that digital health companies are a part of transforming the health experience, improving the health of our communities and helping to ultimately drive patient engagement. Connecting young Canadian companies with investors and partners is crucial, so they can scale not only in Canada but also globally. Last week, MaRS opened applications for the HealthKick 2015 business pitch competition. Canada’s largest health venture showcase gives health companies, including healthcare IT startups, the chance to pitch in front of global and national investors and industry leaders as well as a chance to win one of three cash prizes to support their business. Interested in applying? Applications close December 19, 2014. Find out how to apply at healthkick.marsdd.com/ventures.